Der Artikel Cover Me: The Eddie Hinton Songbook wurde in den Warenkorb gelegt. • It’s been a while since the last ‘Ace Songwriter Series’ release but we still have plenty of future volumes in the pipeline. The series resumes this month with a package featuring two dozen musical delights from the pen of the late Eddie Hinton. • A cult hero among those who know and love their Muscle Shoals music, Eddie was a fixture of the Shoals recording scene in the mid-late 60s. As well as being a prolific and immediately recognisable session guitarist, and a great singer who sadly recorded far too infrequently, Eddie regularly wrote fine songs with a peer group that at various times included Donnie Fritts and Dan Penn. 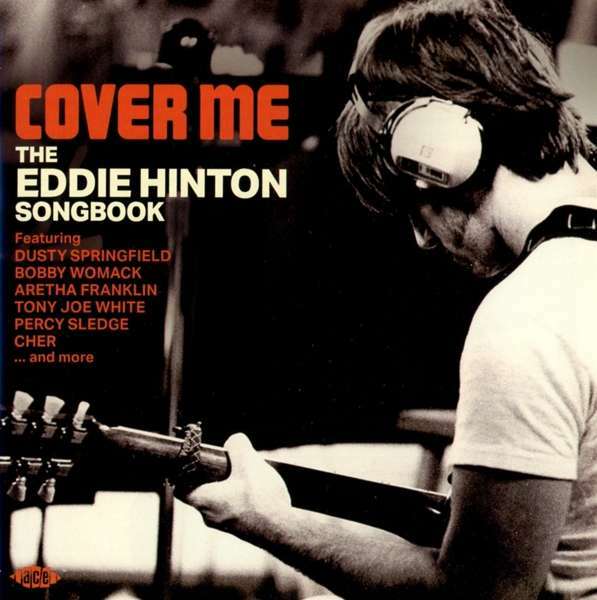 • “Cover Me” features a comprehensive selection of Eddie’s best-known copyrights, many of which are now regarded as classics of 60s southern soul. Not all of Eddie’s songs are as well-known as his biggest hit, the much-recorded ‘Breakfast In Bed’, but there are several others here that could and should have been just as commercially successful. • Artists would always be glad to record whatever Eddie submitted for their consideration. 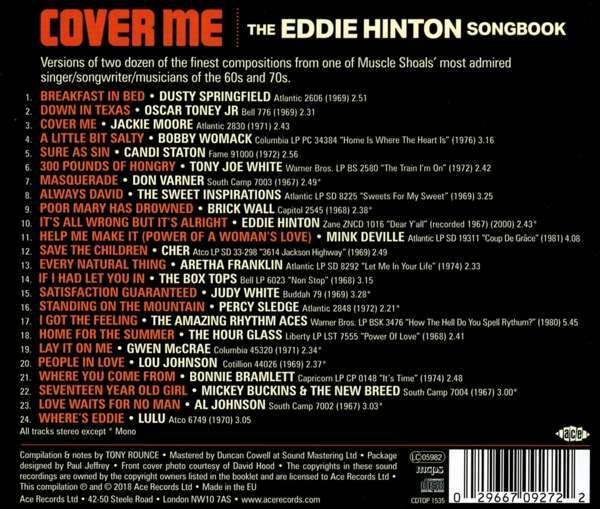 You only have to look at “Cover Me”’s cast list, which includes Bobby Womack, Aretha Franklin, Dusty Springfield, Mink Deville, Cher and Lulu to name but a few, to see the calibre of talent Eddie’s copyrights attracted. • This collection brings together songs from all periods of Eddie’s career. It’s sure to enhance the stellar reputation of one of Muscle Shoals’ favourite sons and it will be a welcome addition to anyone’s collection of ‘Ace Songwriter Series’ packages. Hörprobe Track 2: Down In Texas / Oscar Toney Jr.
Down In Texas / Oscar Toney Jr.